RTConnect offers hotel global distribution system providing 2-way XML connectivity, allowing you to transfer room rates, inventory and allocation to multiple online sales channels directly from your hotel PMS/ CRS. The bookings generated on the sales channels get delivered directly into your hotel system keeping your availability status updated at all times. RTConnect is the perfect solution for hotel group connectivity and acts like a PMS channel manager for your hotel. Expand your visibility by selling on your choice of channels - choose from over 350 distribution partners including global and regional OTAs, Wholesalers, Metasearch, GDS, Tour Operators, Booking Engine etc. RTConnect by eRevMax, the 2-way XML Gateway for the hospitality industry provides connectivity for rate, inventory and reservation delivery to your current hotel systems. OTA/HTNG compliant, the e-distribution gateway provides the perfect Software-as-a-Service (Saas) solution for you to progress from a decentralized to a centralized distribution strategy - while keeping your distribution partner connectivity the same! Through one simple connection from your hotel systems, you gain seamless 2-way connectivity to all your distribution partners. RTConnect completely automates the distribution process to match supply with relevant demand, and maximize revenue from each room. Manage multiple hotel properties centrally and enjoy the support of centralized contracts with distribution channel easily. Migrate from a decentralized to centralized business processes in your hotel group with full enterprise two-way distribution connectivity. You can now deliver higher-levels of service and solutions to your hotel clients by integrating with eRevMax channel management solutions. This will enable you to offer ‘off-the-shelf’ connected distribution partners that your hotel clients require to meet the demands of online distribution. Through RTConnect by eRevMax, your system will enable your hotel end-users to generate more revenue through profitable online booking channels. RTConnect will deliver your solution and your customer with advantages in distribution without the expensive and highly intensive management required to maintain and develop new connections. Advance and evolve your system for seamless connectivity with your hotel customers. Over 20000 properties use eRevMax channel connections to optimize revenue and bookings from Distribution Partners providing more rooms and inventory to a global market place. RTConnect by eRevMax builds 2-way direct XML connections to further streamline the channel management process by sharing essential reservation data directly between the hotels and the distribution partners. 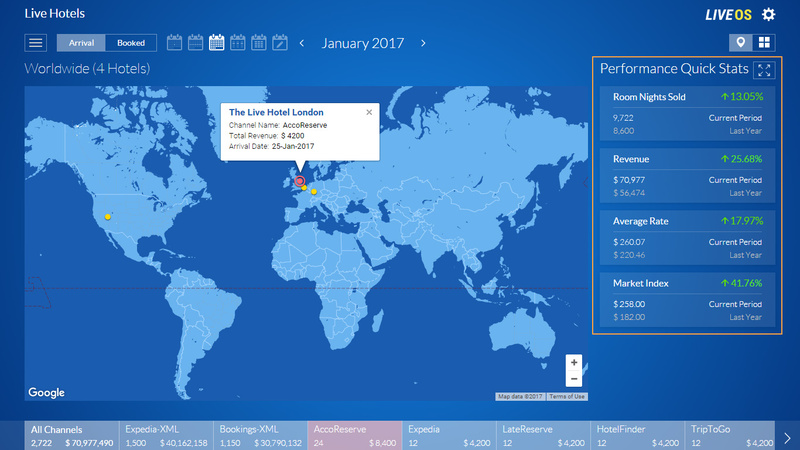 The eRevMax Hotel Ecosystem provides IDSs greater access to global hotel inventory that will help improve their consumer offering and diversify the product portfolio, which will accordingly result in more business. The eRevMax Channel Ecosystem will help hotel brands identify key producers of room nights in key feeder markets and assist properties in their portfolios to acquire greater online distribution and sales.